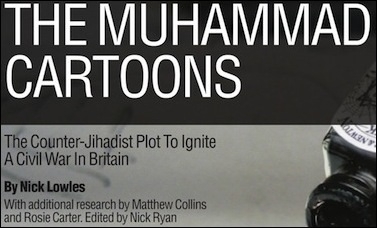 Originally published under the title, "Je Ne Suis Pas Charlie: Tory-Backed, Hard-Left Org Urges UK Govt to Ban 'Draw Muhammad' Competition." Hope Not Hate, a group that masquerades as being "anti-extremist" and "anti-racist," has criticised free speech campaigners in Britain for organising a "Draw Muhammad" cartoon competition, claiming that this "counter-jihadist" movement is attempting to start a civil war in the United Kingdom. Breitbart London understands that anti-Sharia law campaigner Anne Marie Waters, as well as others, including former UK Independence Party leader Lord Pearson of Rannoch, will follow in the footsteps of campaigners such as Charlie Hebdo, Pamela Geller, and Geert Wilders in hosting a "Draw Muhammad" cartoon competition – asserting Western nations' right to free speech over religious fealty. But Hope Not Hate, which claims it raises its money from grassroots supporters – despite a history of receiving large sums of money from the hard-left labour unions – has come out against free speech, mocking the counter-jihadist claim that Islamism is a "supremacist and expansionist ideology," despite recent evidence at home and abroad through groups like Hizb ut-Tahrir and ISIS. Hope Not Hate has received large sums of money from hard-left labour unions. "Hope not Hate," says its new report, "believes the authorities need to do more against these counter-jihadists" – implying the state should pursue anti-extremism and anti-terrorism campaigners simply for criticising Islamism and jihadism, and for exercising their freedom of speech. Hope Not Hate's future for Britain, it seems, is a tyrannical one in the same vein as George Orwell's 1984. The group – which is believed to have been behind much of the anti-UKIP activity in Nigel Farage's target seat of South Thanet in May, and which united the Conservative Party and Labour Party candidates – recommends that anti-Islamism websites be "investigated" and calls for the cartoon-drawing protest to be banned outright. Its calls echo those of hardline Islamist groups around the world. The rest of the 32-page report hosts profiles of the involved parties and claims that their motive is to start a civil war in Britain. Campaigners tell Breitbart London that their aims are quite the opposite – to end, or pre-empt, a civil war in Britain by asserting Western values and not allowing extremists to establish a credible foothold. Hope Not Hate is one of the more controversial groups on Britain's hard left, with links to labour unions, as well as foreign funding sources. The group has a charitable arm, as well as links to another hard-left organisation called Unite Against Fascism, which has been linked to the murderer of Lee Rigby, the British solider killed by Islamists on the streets of London, as well as the controversial Muslim hate preacher Anjem Choudary. Michael Adebolajo said in a speech at a Unite Against Fascism rally in 2009: "We are not scared of kufar [unbelievers] ... my brothers remain in your ranks and do not be scared of these filthy kufar. They are pigs ... Allah says they are worse than cattle." He went on to murder British solider Lee Rigby on the streets of Woolwich, London, in 2013. 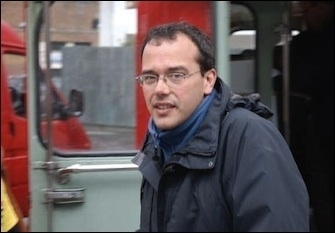 Nick Lowles, the founder of Hope Not Hate and one of the document's authors, has previously edited the hard left Searchlight magazine, and in 1996 allegedly approached the European Movement offering "research... into the anti-European network in Britain." He is reported to have offered to furnish the European Movement with "information not otherwise easily accessible" and "invaluable ammunition to add to your cause." Hope Not Hate is noted for largely ignoring Islamist extremism, while focusing on Eurosceptic and nationalist parties in the United Kingdom, often conflating the two causes, despite groups like the British National Party having much of their philosophical grounding on the left of British politics. The group has been endorsed by a number of Conservative Party candidates and members of parliament, including pro-EU ex-MP Laura Sandys and Craig Mackinlay MP, as well as by the Daily Mirror newspaper and former Prime Minister Gordon Brown.